Some places seem to have that special aura of magic about them, a silent timelessness that hangs in the air. Just off the Dingli cliffs road and at the point where the road starts to dip down towards Girgenti there is one such spot – a favourite of mine for many reasons. The location, known locally as Il-Wardija ta San Gorg, consists of a jutting rocky outcrop some 300 meters from the road. Its commanding position makes it ideal as a defensive post and in fact that is what it was at some point during Malta’s Bronze Age period which extends from 2400 to 800 B.C. After the collapse of the temples culture, where all evidence points to a peace-loving civilization, the Bronze Age indicates that a more warlike people inhabited the islands, with finds from that era including rudimentary weapons – an artefact never found in temples excavations. Additionally most Bronze Age sites are – like the one here – easily defensible sites which sometimes include impressive defensive walls – Malta’s earliest fortifications in fact. Sadly only a few stones of this site’s defensive wall exist and it is difficult to make much sense from what remains. Storage silos hewn out of the rock surface – another feature of Bronze Age sites –and probably used to store grain can be easily made out however. But the site’s magic is more than its meagre archaeological remains. 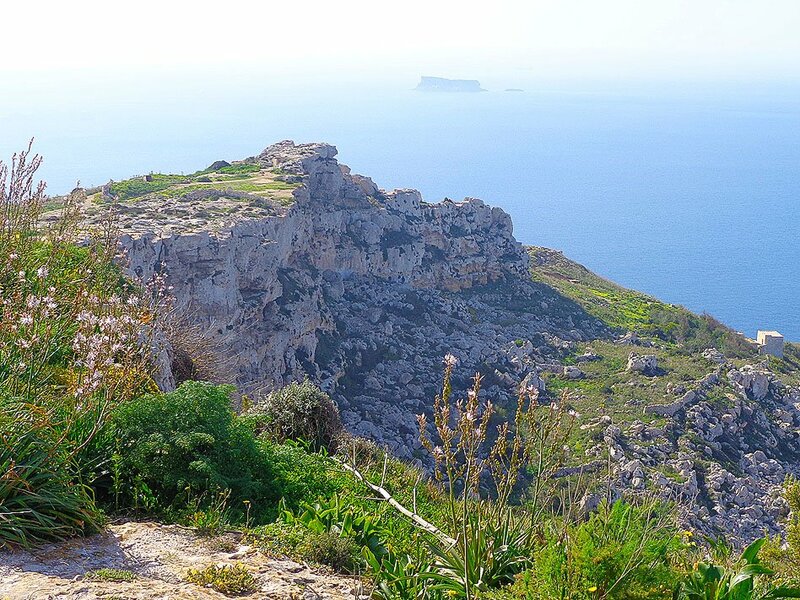 Its commanding position translates to some fantastic views over the length of Dingli Cliffs to one side and the hamlet of Fawwara with its lovely wayside chapel on the other. A rocky trail leads down to the latter. 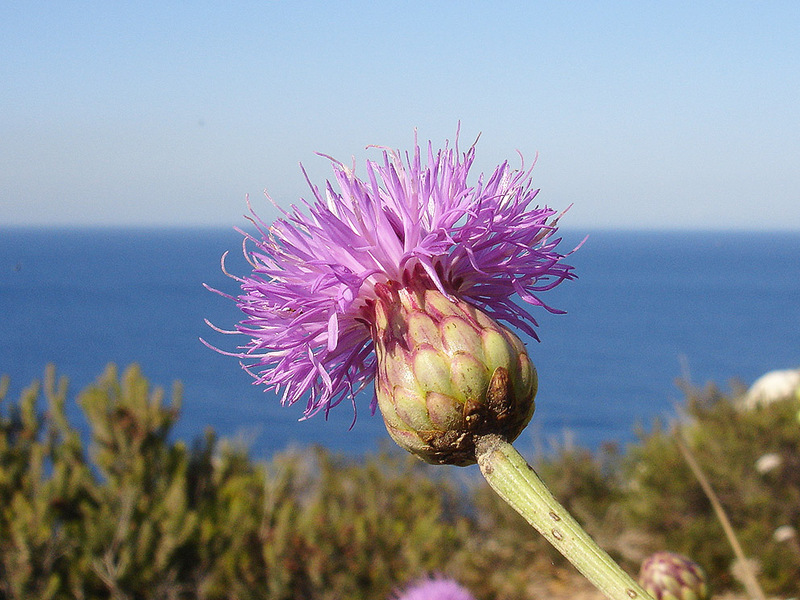 The Wardija is one of the few places where the Maltese Rock Centaury, the Maltese national plant (in flower from the end of May) can be seen in some abundance. The Rock Centaury is a plant endemic to Malta and a remnant of pre Ice Age flora. Its Maltese name – Widnet il-Bahar (literally “the ear of the sea”) is wonderfully poetic and precise…the plant thrives best in precarious crags on vertical cliff faces as if perpetually listening to the sounds of the sea below. 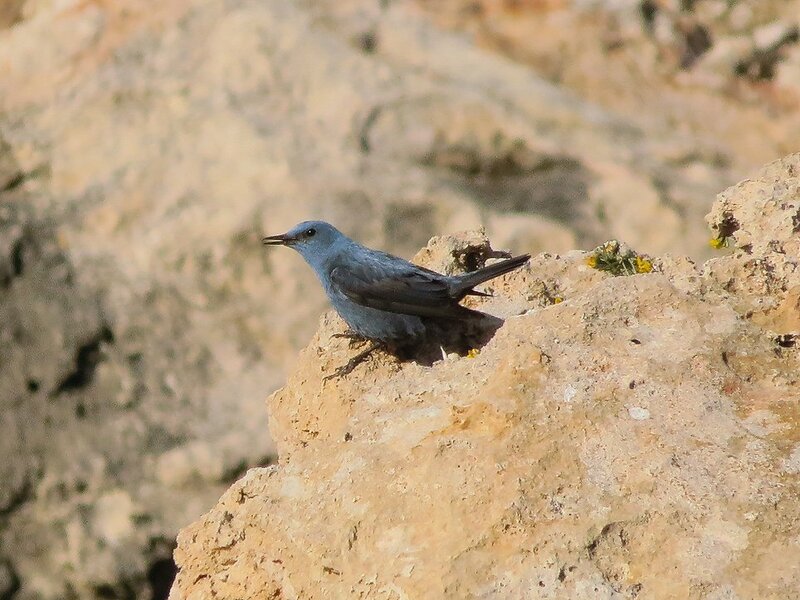 And although here the sea is a bit too distant, the plant could do worse than ‘listen’ to the sweet liquid warbling of the Blue Rock Thrush – Malta’s bright blue national bird. A small colony of this species inhabits the cliffs here and though quite an elusive fellow to spot its melodious warbling gives it away easily. This is a great getaway place, and an ideal location to wander for an hour or watch a sunset, before ending the day with a good local meal. A couple of restaurants on the cliffs around Dingli will oblige.